To this day, Sleeping Beauty is my favorite Disney Princess and Maleficent is my preferred villain. In this reboot of the classic tale, audiences will get the details as to how the be-horned queen became the Mistress of All Evil. In the 1959 cartoon version, she pops up uninvited to Princess Aurora’s royal christening and curses the infant Princess to “prick her finger on the spindle of a spinning wheel and die” before the sun sets on her sixteenth birthday. Here’s a Fun Fact: Maleficent was voiced by Eleanor Audley in 1959, who was also the voice of Cinderella’s wicked stepmother! Lana Del Rey has recorded a unique re-imagining of “Once Upon a Dream,” which was originally sung by Aurora before meeting Prince Phillip. This haunting rendition will play during the credits, but you can check it out by clicking HERE and watch the trailer! 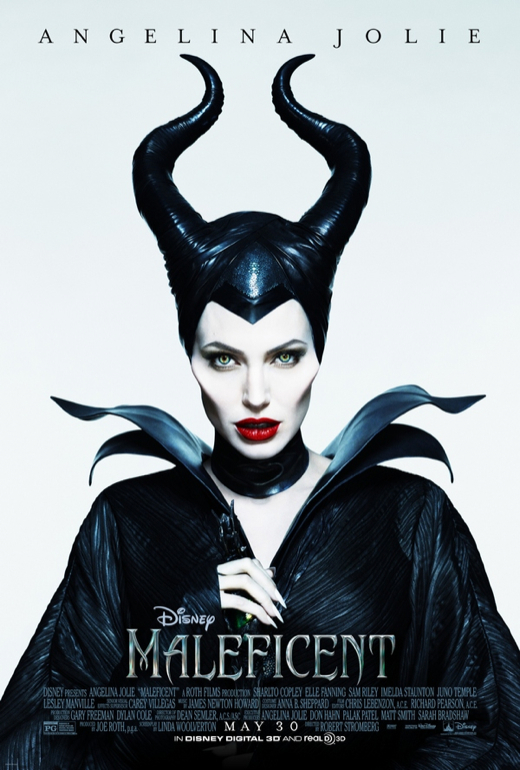 ‘Maleficent’ opens on May 30th, 2014 so this poster will have to get you by for now.